Myna Mahila Foundation (MMF) empowers women to speak about the taboo topic of menstruation. The three pillars of Myna’s mission include: improving menstrual hygiene affordably, generating female employment in slums and building women’s networks. 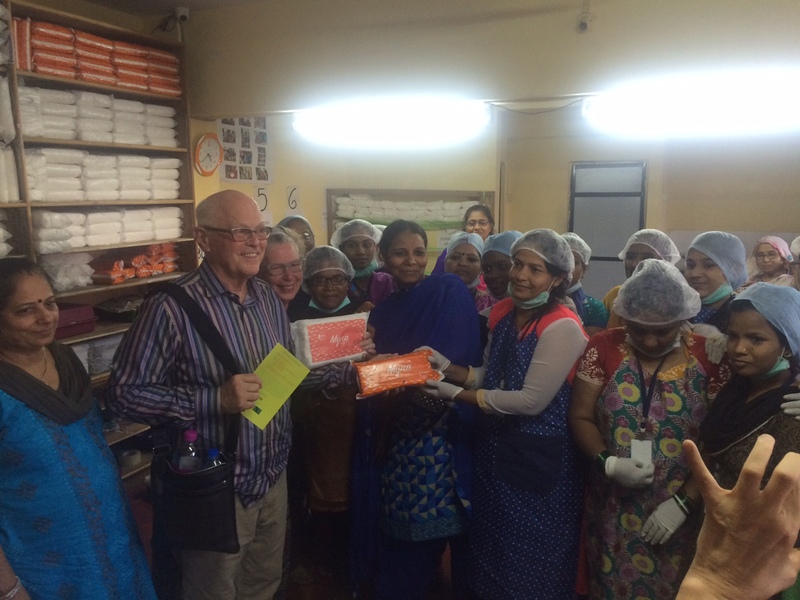 MMF employs and trains women to be entrepreneurs who can run franchises for womens’ hygiene products. This creates a network of support for the women as well as improved feminine health through affordable sanitary supplies delivered door to door. The only way to build a better community is to listen to the community. 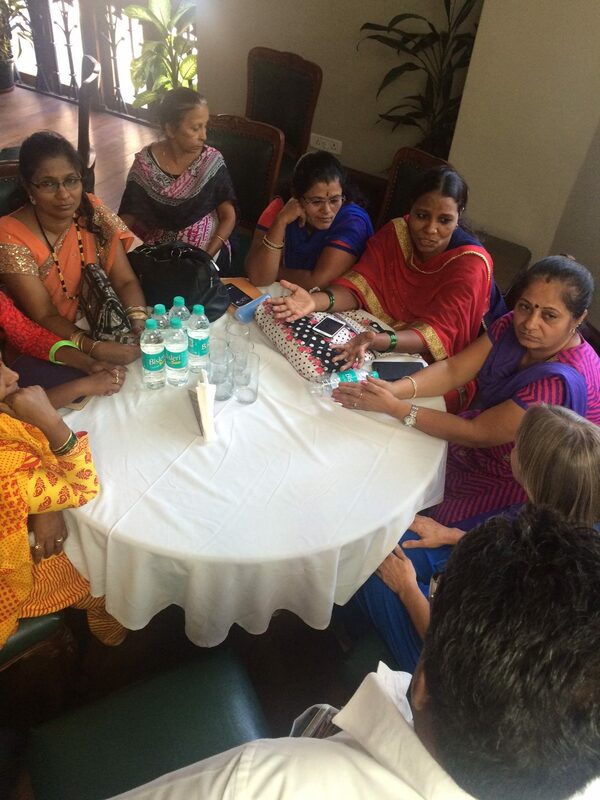 Conversations in Mumbai with women of Myna Mahila –talking about real daily challenges of slum dwellers, Mumbai India. Myna provides women access to sanitary pads when she needs them, no matter where or who she is, by making and delivering pads to their door. MMF initiated surveys of women in the Mumbai communities and found that mothers wanted opportunities to work at home so they could earn an income and also take care of their children. MMF is developing opportunities for women who have sewing machines to sew garments and bags in their homes while assisting in connecting them to a local marketplace. MMF educates their staff in English, life skills, health, self-defense and computer literacy. They hold workshops, courses and lectures with their staff every week while training some women in the business skills needed to operate a sanitary pad micro-franchise. MMF conducts extensive door-to-door surveys about menstrual hygiene awareness, sanitary pad disposal, women’s health and women’s employment. The surveys increase MMF’s understanding of the challenges women face and allows them to generate new solutions to address these challenges. Can design education promote social justice? Dr. Barbara Brown Wilson discusses the Design Futures Student Leadership Forum and how it seeks to train tomorrow’s leaders of public interest design. How can designers address poverty in American cities? Architect Wes Janz focuses on the potential of informal settlements and camps housing 1 billion of the world’s poor. He sees these as a utilitarian beauty wrought of necessity.